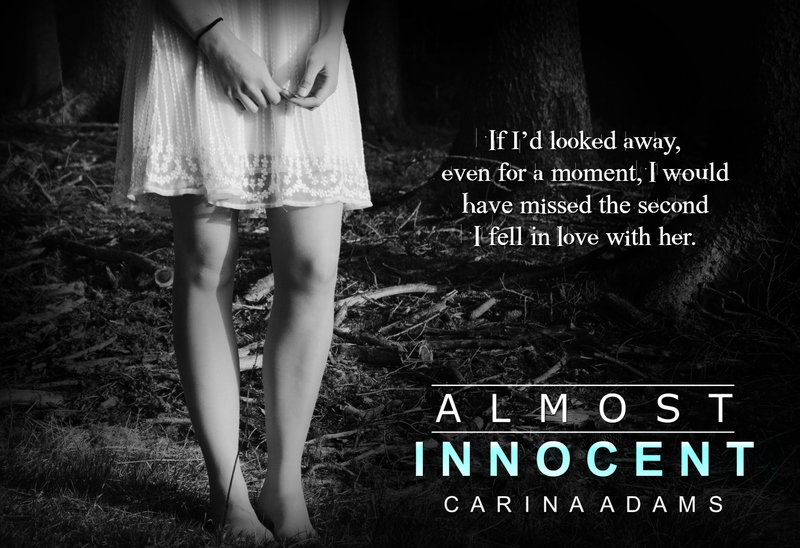 I am not new to reading dark, twisted and painful kind of books and Almost Innocent by Carina Adams is by far one of my top favorite of this genre so far in 2016. Although the domestic violence is not too overtly discussed graphically it will definitely leave a mark on you. There is a very powerful message about family, love, heartbreak, violence, abuse and second chances. I felt the intensity of Gabby’s experiences from the beginning until the end. I knew how emotionally invested and how special this story was for Carina and that makes the reading experience more unique in a way. Getting into Gabby and Declan’s head is surely not easy but Carina is such an amazing writer–it was so beautifully written. Gabby and Declan’s second chance to live, love and build their own dreams together is a story worth reading… worth sharing… and worth remembering for always. Thanks to TRSOR for making this Blog Tour possible. This entry was posted in Adult Romance, Author Spotlight, Book Boyfriend, Book Boyfriends, Book Crushes, Book Promotion, Book Quotes, Book Recommendation, Book Spotlight, Book Tour, Bookish Stuff, bookish temptations, Books, Books For Review, Carina Adams, Characters, Dark Romance, Fantasy boyfriends, Favorite Authors, Reviews, Romance and tagged Almost Innocent, Blog Tour, Carina Adams, Dark, Dark Romance, Declan, Gabby, Goodreads, heartbreak, Love, painful, second chance, TBR.